--Adam Ondra just did the unthinkable. He onsighted Just Do It (5.14c) in Smith Rocks State Park in Oregon. Onsighting is when one completes a route on the first try. It's crazy that this guy is climbing so hard. To read more, click here. --Somebody appears to be chipping and torching holds on Squamish boulders. To read more, click here. --Somebody took it upon themselves to chop DOA (5.11c/d) at Lover's Leap. This route reportedly was put up on lead, ground up. To read more, click here. --The Arizona Daily Sun is reporting that, "Multiple agencies responded to a call about a 34-year-old climber who fell 40 feet at a popular climbing spot near Oak Creek Vista off of State Route 89A Saturday afternoon. The Phoenix woman sustained multiple serious injuries when she fell while rappelling, including a back injury." To read more, click here. --The Las Vegas Review Journal is reporting that, "The Nevada State Historic Preservation Office will host a training session Saturday in Mesquite for volunteers interested in protecting the state’s archaeological treasures. 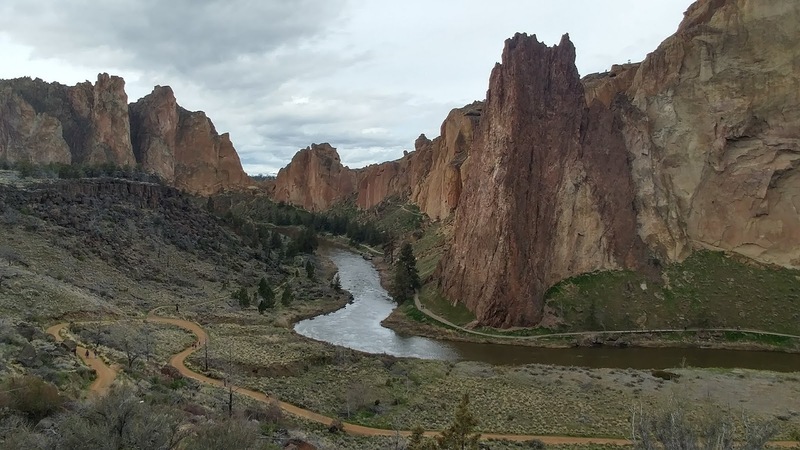 State and federal land managers are looking for site stewards to serve as the 'eyes and ears' for dozens of historic and prehistoric cultural sites across the state." To read more, click here. --The Access Fund has some exciting news! "Access Fund, the national non-profit organization that keeps climbing areas open and protected, is thrilled to announce that Chris Winter will join the organization as Executive Director this January. He replaces Brady Robinson, who stepped down in June after leading the climbing advocacy organization for eleven years." To read more, click here. --It looks like Colorado ski resorts are going to open early. Check it out! --The National Parks Traveler is reporting that, "The Trust for Public Land has finalized the donation to the National Park Service of a 35-acre inholding inside Zion National Park. The land, known as Firepit Knoll, will be incorporated into the park and protected from future development. The donation was made possible thanks to support from the National Park Foundation, the National Park Trust and the the George S. and Dolores Doré Eccles Foundation of Salt Lake City." To read more, click here. --What do the election results mean for climbing? The Access Fund has the answer, here. --Rock and Ice is reporting that, "GRIT&ROCK announced a launch of an annual international First Ascent Expedition Prize to enable female first ascents. Now in its third annual installment, the award, the largest of its kind globally, funds projects of female-led expedition teams up to the amount of USD 10,000." It appears that the application period is open. To read more, click here. --So that "cute" video of the bear cub trying to climb to it's mother...yeah, those bears were reacting to the drone chasing them. 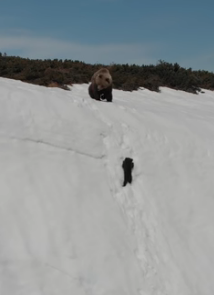 At one point, the bear cub slides all the way down the slope into the rocks. It's horrible. They're terrified... From Slate, " Many Twitter users found the video to be inspiring, in a way: Look, that baby bear never gave up! Many wildlife biologists, however, saw something rather different. They saw a disturbing example of how some irresponsible drone pilots are happy to harass wildlife to get a perfect picture, putting animals at risk and tarnishing the reputation of all users of the technology." To read more, click here. --And finally, there is a cool little line on Mount McGillivray in the Canadian Rockies called Arterial Spurt. This three-pitch WI3 is seldom climbed due to avalanche danger. A couple of guys were able to sneak it in in mid-November before there was much snow. Check out their climb for some stoke, below!